Email marketing continues to offer the best return on investment. It outperforms other digital marketing channels substantially. In fact, according to the Data & Marketing Association and Demand Metric, email has a median ROI of 122%. Email has changed immensely since the first email marketing tool for small businesses was introduced back in 1998. Today, email newsletters are no longer a novelty, and when it comes to personal email, most of us navigate through our inboxes at lightning speed. We quickly decide which messages are worth our time and which will get trashed or ignored. So how does a small business compete in our inbox? Small businesses have to embrace three trends in the email marketing industry: Personalization, Automation and Artificial Intelligence. Salesforce did a survey and found that more than half of consumers and 65% of B2B buyers were likely to switch brands if a company didn’t make an effort to personalize its communication to them. This is exactly why it’s so important for small businesses to take advantage of this. 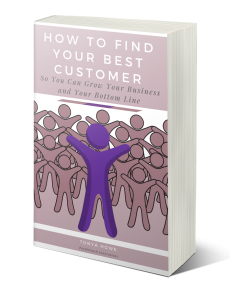 Small businesses are more in-tuned to their customers and know what they want. They understand the needs better than a large corporation, so the communication to their customers should be directed to each one individually. But this doesn’t mean that you have to write each email one-by-one. This takes us to the next trend…Automation. Many small businesses see automation as something negative, but in reality, it allows you to scale your business while keeping personal touches in place. Most small business owners fear that if they start automating some aspects of their emails then it will take away the authenticity and genuine nature of their interactions. The best way to look at this is how can I as a small business owner interact with new customers as soon as they reach out so they know that I want their business? Automation! It’s as simple as setting up a welcome email when someone subscribes to a newsletter or purchases a product or even sends you a message through your website. The best time to get that customer involved with your company is when they are thinking about you in that moment. In other words…striking while the iron is hot. While this can seem like it belongs in a video game or some other new world technology it’s actually very much a reality in today’s marketing. Have you ever visited a website and then later while on Facebook see the exact item you were just looking at? That is AI at work. Because we are now able to track what our potential customers are looking at on our site, we can make sure that when we talk with them through our automated emails that we talk about what interests them. This is why AI can be your secret to getting a fuller picture of your email subscribers and how to best reach them. The fastest way to turn off subscribers is to send them a message that has nothing to do with them. Consumers have high expectations for businesses. They want to receive experiences that are tailored to their interests. One-on-on conversations make it easy, email, on the other hand, is a little more tricky, but with AI, you can overcome the guesswork. Salesforce reports that 57% of marketing leaders surveyed called AI absolutely or very essential is helping them deliver optimal, one-to-one communications experience. In addition, 64% said their companies had become more focused on providing a consistent experience across every channel as a result of changing customer expectations. Remember, no one has all of the answers. Most small businesses have enough on their plate just keeping their business running. They’d rather not have to worry about learning the latest technology or keeping up with every marketing trend. If this describes you, start small, experiment and find the tactics and technology that work best for you or invest in someone to do this for you. It’s an investment that will pay you back with more customers who are loyal and who doesn’t want that? Get to know your subscribers better, and increase personalization by including polls in your emails. Not only is this an easy way for small businesses to learn more about their subscribers, it leads to more engaging emails and gives subscribers a chance to voice their preferences proactively. Another option is to find a service that offers the features you need to succeed.Options include customizable mobile-responsive email templates, contact-management and reporting tools that makes things like automation and AI simple and accessible. Set up automated annual date-based reminders, like birthday coupons or membership renewals. These are a nice, personalized touch and an efficient way to build customer relationships without your having to create a new email every month. If you take the time to implement these things into your email marketing, you will be one step ahead of most small businesses and more in-tuned with your customers than most large corporations. A win-win for everyone involved! If you are struggling to get your marketing plan figured out or just don’t know where to start, give us a call or send us a message on our website or social media. PurplePatch Innovations offers FREE personalized marketing assessments with no strings attached. Learn what you need to do to take your business to the next level. Click to get your FREE Marketing Assessment Today!